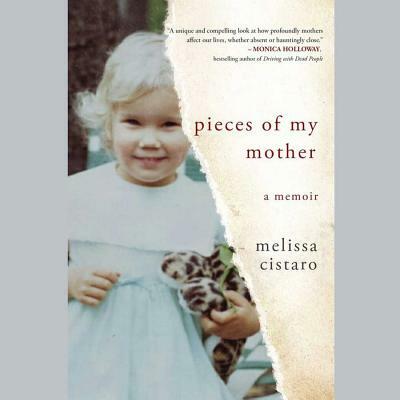 This provocative, poignant memoir of a daughter whose mother left her behind by choice begs the question: Are we destined to make the same mistakes as our parents?One summer, Melissa Cistaro's mother drove off without explanation. Devastated, Melissa and her brothers were left to pick up the pieces, always tormented by the thought: Why did their mother abandon them?Thirty-five years later, with children of her own, Melissa finds herself in Olympia, Washington, as her mother is dying. After decades of hiding her painful memories, she has just days to find out what happened that summer and confront the fear she could do the same to her kids. But Melissa never expects to stumble across a cache of letters her mother wrote to her but never sent--letters that could hold the answers she seeks.Haunting yet ultimately uplifting, Pieces of My Mother chronicles one woman's quest to discover what drives a mother to walk away from the children she loves. Alternating between Melissa's tumultuous coming-of-age and her mother's final days, this captivating memoir reveals how our parents' choices impact our own and how we can survive those to forge our own paths.